Please note, that the spreadsheet will only be editable to the group members (you must be logged into the group page or to your google account). - As it meats the expectations of the majority, the antennas will be terminated with 0.5m coax with N-connector (female). 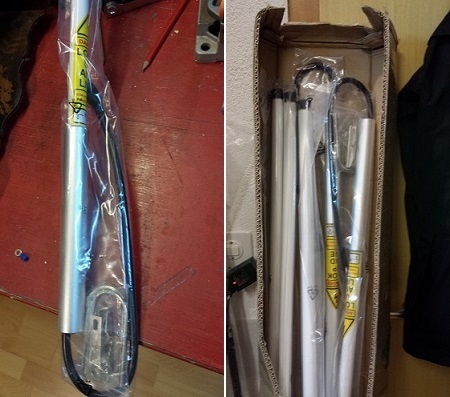 Since the first set of antennas for our base stations has successfully arrived from China and has been positively tested by Paul, we are organizing a common order for a second set. Common order should assure us the best price possible for the items and reduce the shipment costs (which we will share). For now, we have not yet precisely scheduled when the second order should take place, but of course taking into account manufacturing + shipment take some time, the sooner the better! So let's try to make it end of April the latest. Price: for the first set of 5 aerials Pawel paid $200 ( shipment included ). That makes $40/piece. If we make a bigger purchase, probably the shipment price might be a bit higher (to be verified). We will most probably request shipment in several parcels, e.g. one to the UK, one to CH, one to Germany, etc. To be precised once we have the final list.